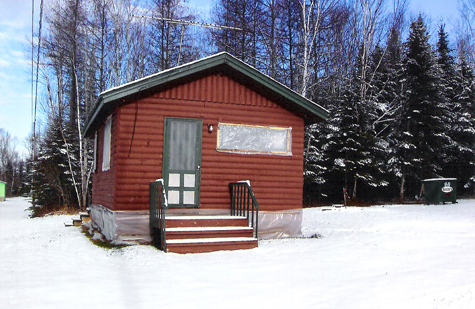 St. Froid Lake Camps & Campground offers a wide range of services and activities such as lodging, 4-wheeling, fishing, snowmobling, hunting, professional guide services, and a completely authentic, affordable, and comfortable experience of the Northern Maine Wilderness! If you are interested in lodging with us, please contact us for more reservation information. Call Us! Darren Dunnells, our Master Maine Guide, can bring you on a thrilling hunt for deer, moose, bear or rabbit. 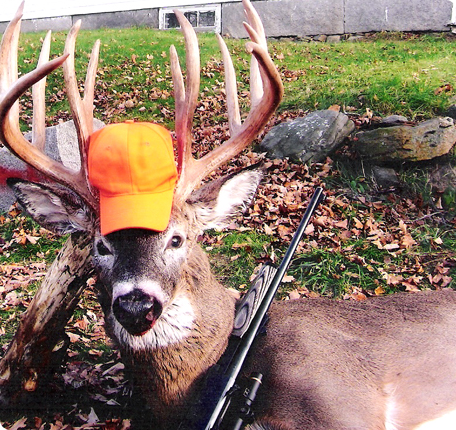 Northern Maine is known for larger whitetail deer with trophy racks. Hunting these beauties is not an easy task; large cedar swamps and thick forests make the task very challenging, however, is also makes tagging a big buck extremely rewarding. Northern Maine is also home to one of the largest populations of black bear in the United States. Hunting is done over active baits, or with the use of dogs. Moose hunting is done by permit only. If you are interested in St. Froid Lake Camps and Campground's Master Maine Guide services, visit our guide section or contact us. Thank you for choosing St. Froid Lake Camps and Campground!